41,213 disk drives spinning in our data center, storing all of the data for our unlimited backup service. That is up from 27,134 at the end of 2013. 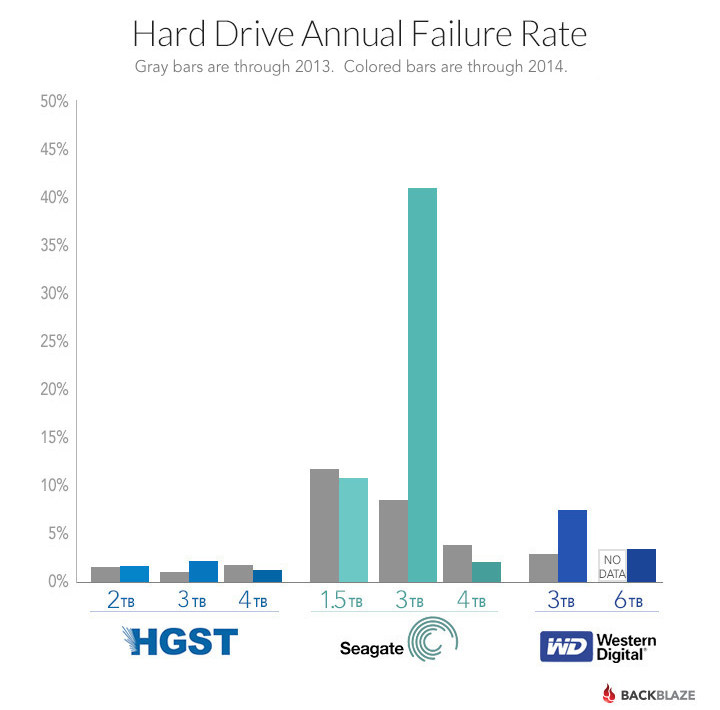 This year, most of the new drives are 4 TB drives, and a few are the new 6 TB drives.